After 13 months of negative growth, beer production rose in the last few months of 2018. 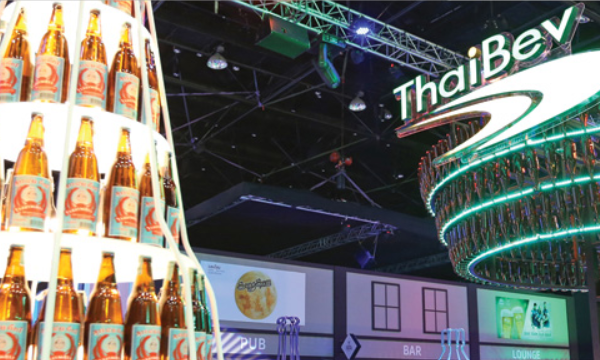 ThaiBev's stock perfomance has been highly hit by the weak alcohol consumption in Thailand in 2018. However, beer production levels have started to pick up from as growth advanced from 10.5% in October to 11.2% in November, RHB analyst Juliana Cai commented. “This is a key indicator of alcohol demand, and we expect to see similar trends in consumption,” Cai explained. Thailand's situation could also work well for the spirits firm, Cai said, noting that overall rural income in 2018 was dragged down by the underperformance of sugar, rubber and palm oil prices. "That said, we note that the prices of these commodities have bottomed out, which should help to improve the purchasing power of farmers this year. In addition, whilst the long-awaited general election might see further delays, we have seen the government dishing handouts ahead of the election, which could help to boost near-term spending power in Thailand," she explained. Moreover, ThaiBev holding a majority stake in Sabeco following its loan restructuring could work for the better of the spirits firm in the long run, the research firm said.